At the end of the year, each companyâ€™s human resources department has begun to work on the personnel budget for the new year. The design of the employee benefit plan is one of the most troublingâ€”although more and more companies are aware of employee benefits policies. The importance of reducing the turnover rate of employees and improving employees' satisfaction with the company is "difficult", and every employee hopes to enjoy benefits that meet their own needs. Therefore, it is indeed very difficult for HR managers who design this â€œannual dinnerâ€ to not only make the companyâ€™s budget overspend, but also to keep the welfare plan attractive. Gifts make welfare more visible Mary is a human resources manager of a medium-sized foreign-funded manufacturing company. She recently conducted a study in order to understand the employees' needs for benefit plans. The survey results surprised her: she thought that the focus of everyone's gathering should be on the content of the welfare content, but 80% of the employees did not know what benefits the company provided them. What exactly is this matter about? It turns out that even though there is a column on company benefits in the employee handbook, employees have gradually forgotten about this. At the end of the year, the company will announce the use of the annual welfare expenses. However, employees may feel that it is the company's official document propaganda. If it is blunt and boring, it will rarely be studied in detail. How can we let employees read welfare? Allowing employees to have a clearer picture of corporate welfare. The Department of Human Resources has designed an easy-to-understand welfare menu to reflect the standardization of corporate welfare policies. It also facilitates employees to understand the benefits provided by the company. It is a good one. s Choice. But this is not enough. Some human resources managers found that if they cooperate with the specific implementation of various benefits, timely delivery of a related gift for employees, employees will have a more vivid understanding and memory of corporate welfare. For example, many companies will use training as a benefit to the staff. If before or after training, prepare a small gift for the staff related to the training, such as a set of unique office supplies and a memorable photo frame. , and then put a photo of the colleagues who participated in the training. This kind of small gift does not cost too much, but the memory left for employees tends to be longer and clearer. Gifts, making welfare more "fresh"
Companies spend a lot on employee benefits each year, but the welfare design that really makes them happy is not easy. Sometimes some companies may even fall into a vicious cycle of â€œcosting money, poor results, company complaints, and employee paralysisâ€. In fact, the easiest way to solve this problem is to ensure that welfare is "fresh." Appropriate gift giving will become a "preservative film" for corporate welfare. Let's look at a case. Company A is a financial service company with about 700 employees. Apart from providing employee benefits such as social insurance, pensions and annual leave prescribed by the state, it also provides transportation subsidies, lunch allowances, training, books and newspapers, and birthdays. Blessing gifts and so on. In the past, the company had always adopted the generalized system of benefits, that is, all regular employees enjoyed unified benefits. Over time, employees felt no feelings for welfare. They thought everything was right and there was nothing new about the welfare of the company. In fact, Company A can completely list a welfare gift program associated with the welfare program in this welfare plan. For example, company A has a certain amount of interest-free benefits for homebuyers. If the company is providing employees with interest-free home purchases**, then when it moves into a new home, the company sends a household product. Would you feel warmer? It will also allow employees to naturally link their good life with the company's care and work harder for the company. Indeed, cash-type welfare should be the employeeâ€™s most popular welfare, but the happiness brought by numbers is always short-lived. Plus, the general companies use bank cards to complete the implementation of this welfare, which makes it difficult to generate emotions. The currency of temperature has no temperature because it does not directly communicate with employees. Over time, the welfare of this pure currency will degenerate into a vague concept, and the enterprise's pay will gradually fade away from its desired effect. At this time, timely and appropriate welfare gifts can become a tangible link between the company's monetary welfare and employees. It will use subtle ways to help companies remind employees of the benefits you enjoy, and employees will also receive gifts. Feeling the temperature of corporate welfare and producing an image and clear memory of corporate welfare. In addition, gifts are also reflected in tax relief in terms of increasing corporate welfare program temperatures. Although money welfare is most welcomed by employees, it will also be reduced to varying degrees due to tax deductions. Substituting the available gifts for benefits instead of gifts is not only more concrete, it also increases employee perception of corporate benefits, and avoids expenditure on taxes and fees. 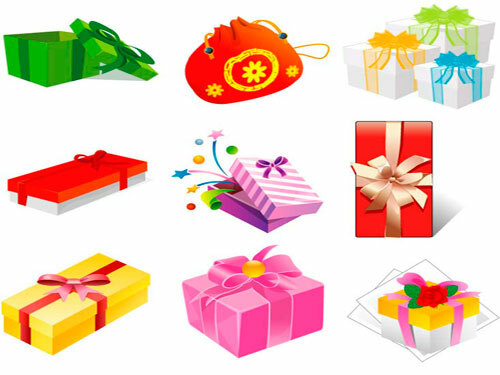 Gifts make employees happier Let us look at the role of gifts in welfare programs from the perspective of happiness. According to the historicalist view, a generation has a generation's view of happiness. For example, in an (agricultural) society under 1,000 US dollars, food and clothing are happiness; in an (industrial) society of 1,000 to 3,000 dollars, money is happiness; in an (information) society above 3,000 US dollars, freedom is happiness. . The concept of well-being in agricultural society is a concept of survival and happiness, and food and clothing are happiness. Therefore, the prerequisite for building an agricultural society into a harmonious society is to solve the problem of food and clothing for the people; the concept of happiness in industrial society is to develop happiness, and the rich people are happy, so the industrial society is The main condition for building a harmonious society is to solve the peopleâ€™s affluence problem; the concept of happiness in the information society is a concept of self-realization of happiness, and free and comprehensive development is happiness. Therefore, the main condition for building an information society into a harmonious society is to solve peopleâ€™s freedom (ie, â€œthrough Knowledge is liberated"). This is the conclusion drawn from the historicist view of the conditions of harmony and happiness. Contrary to historicism is universalism (also known as dogmatism), which is the ideological foundation of industrialization. Universalism includes two main forms: one is the ultra-left dogmatism, that is, the rigid view of the planned economy, and the other is the far-right dogmatism, the rigid view of neo-liberalism. Their essence is common: all hope to universalize the concrete conditions and specific conclusions of industrial society, and get them under different historical conditions. The paramount contradictions have occurred in the conflict with the information society. For example, in the view of universalism or industrialism, money will naturally be happy, and GDP development will naturally be happy. However, the informatization point of view believes that in the information society, people develop more from material needs to cultural needs, and that affluence (whether it is rich or rich first, or common prosperity) is only a necessary condition for happiness, not a sufficient condition. As the famous economist Mr. Huang Youguang said, â€œvarious studies have shown that when income levels are very low, income and happiness are more closely related, but despite this, in all variables that affect personal happiness, income The proportion of people who decide on happiness is still less than 2%.In the same country, the positive relationship of more money and more happiness will gradually disappear (at least in the developed countries, this data can be found to prove). Several studies have shown that social progress The degree is inseparable when the level of income of a country (prices in 1981 is about 3,000 U.S. dollars) is very low, but once it exceeds that level, this interconnectivity will disappear." This brings with it a big problem. If money has only 2% contribution to happiness (happiness), and if it reaches 3,000 US dollars per capita, if it still puts all the "treasures for the people's happiness" on this 2%, There will be huge risks. That is, the people may â€œtake up rice and bowls to eat meatâ€ (metaphor â€œrichâ€, that is, â€œpoor people are constantly turning into rich peopleâ€), â€œput down chopsticks and choke off their mothersâ€ (metaphor â€œunhappinessâ€), that is, the people are not satisfied, not happy). For the sake of happiness for the people, only work can be done at 2% and 98%, in order to ensure that no hard work is done. In summary, when the times have evolved to the present day, the welfare of employees will not necessarily give employees the sense of well-being they need if they are all implemented in currency. Employees do not have the expected sense of well-being, and it is impossible to talk about their emotional attachment to the company. Therefore, the companyâ€™s welfare claims will be difficult to achieve. Gifts, because of their natural emotional bond, make them able to meet the spiritual needs of their employees and make up for the sense of well-being that money cannot bring. In turn, the improvement of employee well-being will enhance the attractiveness of the company, and the goal of welfare appeal will be easier to achieve. In short, employees' perceptions of the welfare programs, their participation, and their sense of well-being, determine their ultimate satisfaction with the company's benefit plans. The characteristics of gifts make employees' perceptions and participation in corporate welfare greatly enhanced. When welfare has become an increasingly important means for enterprises to retain talented people, when corporate HR department designs welfare plans, it is very necessary to systematically include welfare gifts into the plan so that gifts can be kept fresh and increased for the company's welfare plans. temperature.